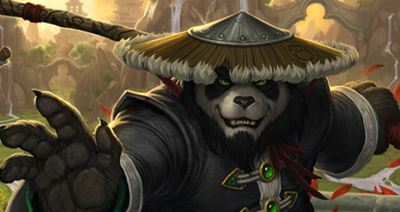 Reading all the usual nonsense that passes for wit in the in-game chat, or the endless QQing on the forums, one might think that Mists of Pandaria was some awful wrist-cutting exercise by Blizzard and that the Pandarians might not be the most requested race in all of WoW. The LawBringer (Joystiq.com) has a nice article dispelling some of these myths. People still might not care for the Pandarians, or hate them, or whatever, but at least we can get some basic info straight. Come. Fight me. See how long you live. 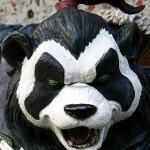 With the announcement of Mists of Pandaria and the inclusion of the Pandaren race in World of Warcraft, the most-asked question that I received was “How is this possible with the laws in China against killing pandas in video games?” The second most-asked question was “How is this possible when Kung Fu Panda will just sue Blizzard?” After I got over the initial hilarity of imagining the actual Jack Black-voiced Kung Fu Panda taking a dude to court, I realized that the myths about China’s involvement with pandas in games, as well as what constitutes a real cause of action in terms of copying characters, are finally issues at the forefront of WoW topics. The Lawbringer is all about pandas today. You might be sick of them, you might love them, or heck, you might be on the panda fence. I can promise you that even if you aren’t a Pandaren fan, you just might learn a little something or two from today’s all-panda fun. Sit back, relax, get all Zen-like, and let’s see what the Pandaren have to offer us. Pandas? Will I play one? Probably. I’m certainly looking forward to the new zones and everything else. The one thing I’m not looking forward to is revising a bunch of guides to the new talent system! Ah well, it’s something to keep me busy, right? Kung-fu panda ripoff? Yawn. I think Bliz has done a great job of making them not silly. As not silly as a panda can, be, They don’t necessarily work for me, but I’ll definitely be there.